Super Jumbos are very heavy rolled wide flange sections with up to 140 mm (5 ½ in.) flange thickness and weigh up to 1377 kg/m (925lbs/ft). They are available in very high strength steels including ASTM A913/grades 485, 450 and 345 MPa (70, 65 and 50 ksi), ETA-10/0156/HISTAR 460, EN 10025 4 S460M and in normal strength steel grades (355 MPa). An outstanding feature of these very high strengh steels is their low carbon equivalent values, allowing easier processing by the fabricators. As such, preheating before welding can ususally be avoided and lead to substantial time and cost savings. When the design of an element is not governed by deflection, higher strengh steel enables an average of 20% weight and cost reduction of the structural elements. ArcelorMittal has the record of the heaviest and the thickest rolled shape in the world! Look up our sales catalogue to check our full range of profiles! 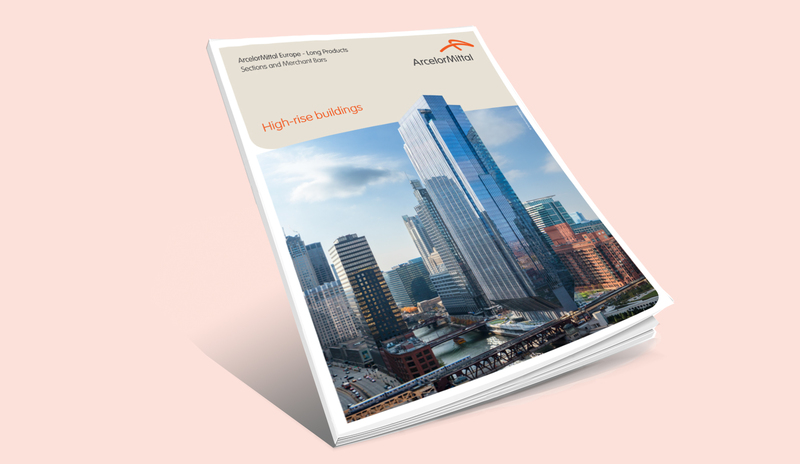 When loads are too heavy for teh strongest single SuperJumbo, optimised sections can be used, check chapter 4 of our high-rise buildings brochure. 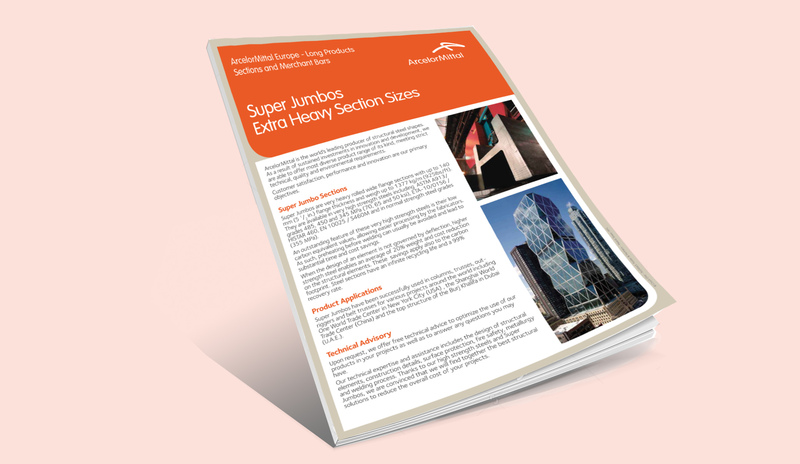 Super Jumbos have been successfully used in columns, trusses, outriggers and belt trusses for various projects around the world! 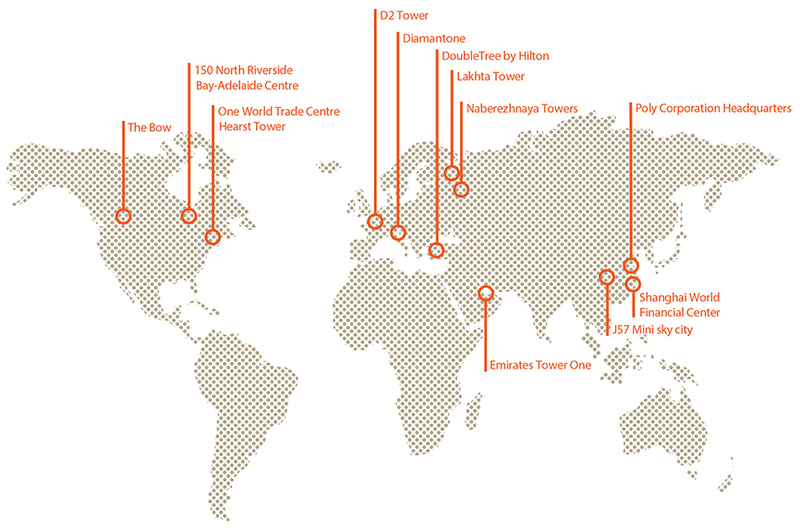 One World Trde Center in New York City (USA), the Shanghai World Trade Center (China), the top structure of the Burj Khalifa in Dubai (U.A.E.) 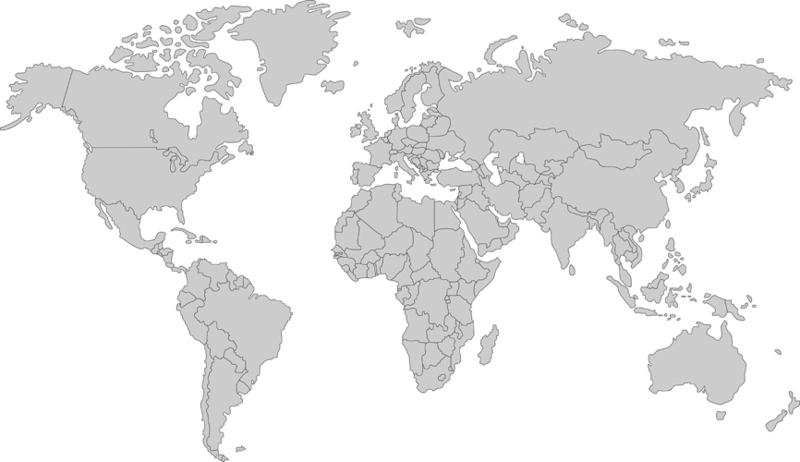 Click on the map to make a tour of the world with our profiles!